Sir Ian McGeechan OBE played for Headingley and made his debut for Scotland in 1972. He won thirty-two caps, playing at fly-half and centre. He captained Scotland on nine occasions. He toured with the British and Irish Lions in both 1974 and 1977. During his playing career, he was also a PE teacher for over two decades. In 1986, McGeechan became the assistant Scotland coach to Derrick Grant and in 1988 he was promoted to coach. In 1990, his team won a Grand Slam victory in the Five Nations Championship. His forwards coach and partner was Jim Tefler. McGeechan was the British and Irish Lions Head Coach in 1989, 1993, 1997 and 2009. In 2005 he coached the midweek side on the British and Irish Lions tour to New Zealand on the invitation of Sir Clive Woodward. McGeechan was appointed Director of Rugby at London Wasps in 2005. In February 2010, McGeechan joined the coaching staff at Gloucester as an advisor to Head Coach Bryan Redpath and his coaching team but moved to local rivals Bath Rugby to take up the post of performance director in June 2010. 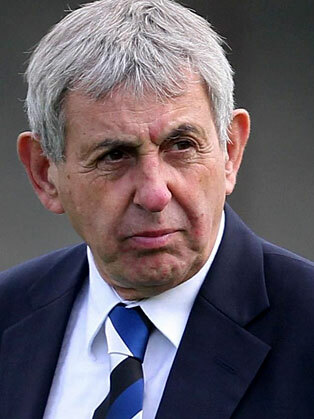 In 2011, McGeechan took over as the director of rugby at Bath following Steve Meehan's departure. In July 2012, McGeechan was appointed the executive chairman of Leeds Carnegie.